Home Funding Corporation (HFC) is a private mortgage lender with a vast amount of experience in residential mortgage lending. The principals of HFC have over 20 years of “hands-on” experience in assisting clients with their mortgage needs. Therefore, we are forward-thinking and committed in assisting our clients with the American dream of becoming homeowners. Furthermore, HFC assists clients with the purchase or refinance of primary, secondary, and investment properties. For many years, thousands of clients have relied on HFC for their mortgage financing. As a direct mortgage lender we are able to assist them by providing them the processing, underwriting, loan documents, and funding under one roof. As a result, HFC offers a host of diverse and flexible mortgage products with a knowledgeable and helpful staff to ensure every avenue has been searched in obtaining the financing needs of our clients. Above all, we offer Conventional, FHA, VA, USDA, Jumbo, and Reverse mortgage Financing. HFC is quickly becoming the preferred lender for consumers, realtors, and mortgage loan originators in many markets in many states. We take pride in our ability to help our clients with their mortgage needs with a positive and helpful attitude. 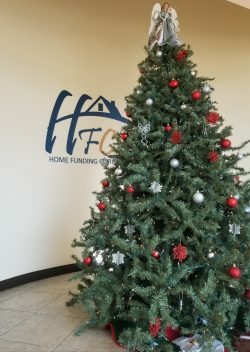 HFC is located in Southern California with several branches in other states. If you give us an opportunity to earn your business, you’ll call us “home” for all your mortgage needs.